Celebrating tradition, family, and connection. Each summer the Siksika Nation of the Blackfoot Confederacy holds an annual powwow. Traditionally these powwows are held outdoors; however, the weather of Southern Alberta can often be severe. 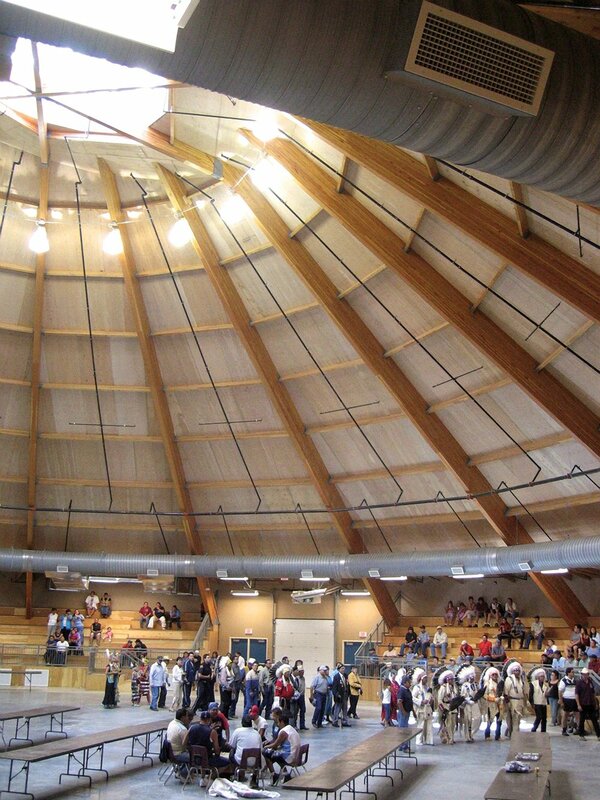 As such, the Siksika wanted to construct an indoor facility to accommodate powwows when the climate deters outdoor ceremonies. The Powwow Arbour is a gathering and ceremonial place. The emphasis on ancestry and a concentration on family relations had a strong influence on the program and design. A primary goal was to create a place or space of “connectedness” – a place where people can come together to celebrate common ideals. The project was originally priced to use steel as it would have been more economical. 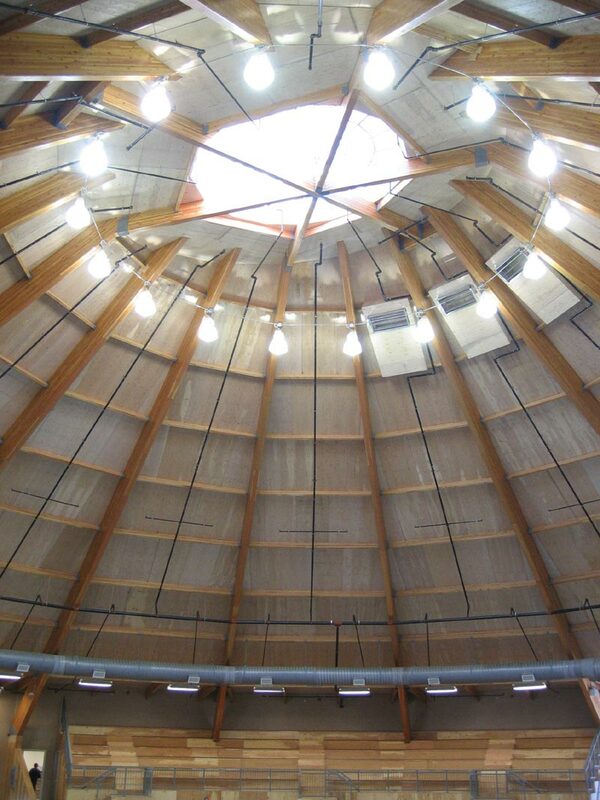 However, the Siksika felt that a wood structure would be more in keeping with the traditional nature of the ceremony in the spiritual aspect of the space. The main elements of the structure are large glulam beams and gluglam purloins, and a plywood sandwich panel for the roof skin exposed to the interior. Bleachers and exterior walls are constructed of wood frame.